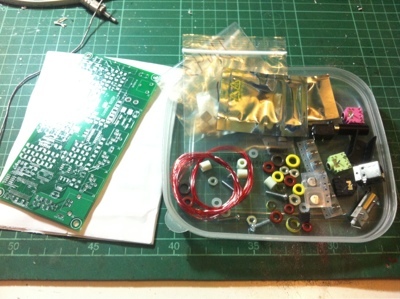 After I received a kits from I order in ae9rb.com I saw a good packaged for protect a mistake parts. 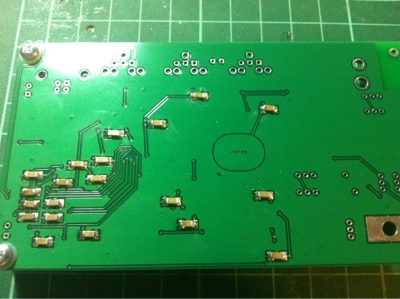 SMD parts are difficult to check in parts if you have a instruments at you workbench. My order is a set for my first do its yourself. First step follow as http://makeprojects.com/ print a table for select the bands. I selected 80/30/40 meter bands. A fig show I mark portion of value for those parts. 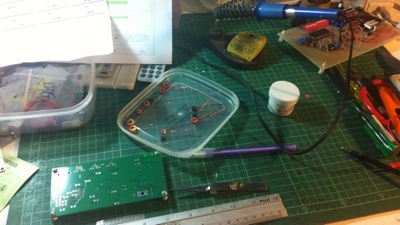 Then I prepare a inductor and transforme (L1-L7, T1-T5). 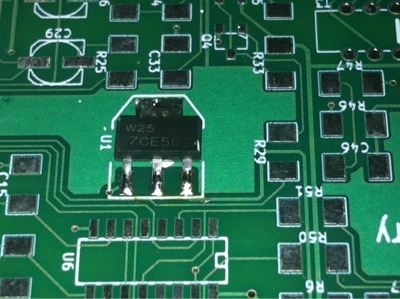 and next solder an 0.1uF capacitors on PCB. Warning ; SMD parts easy to broken. Carefully a assembly. 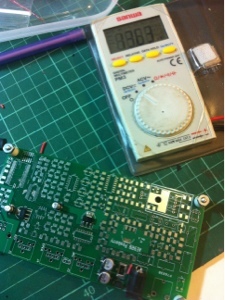 After assemble 0.1uF capacitor should be checking an parts don't fail. Add D1 , R1, C1, C2, C3, C4 and Socket J2. 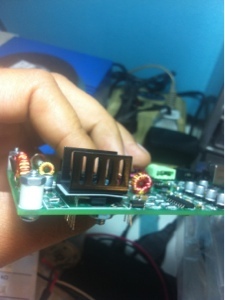 Be careful a pin of capacitor and pan have small area to solder. 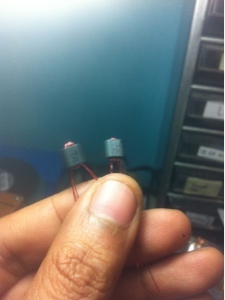 next solder U1 and U2. Instruction inform parts name "NX1117CExxZ". I saw on package indecate "W257CExxZ". 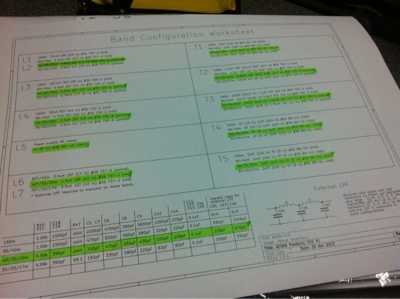 Check in datasheet is corrected. Supply 12-15V for check both regulator. 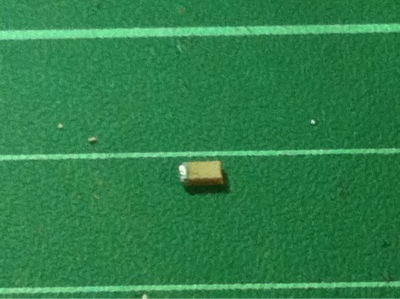 I supply 13V and voltage output are 5.0 and 3.3 V.
This portion carefully a solder. U10, U11 and P1 are small pitch and small pad. My technique add a little Lead-fee on pad before solder an SMD parts. 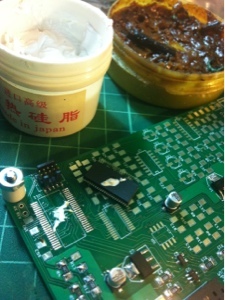 A flux is helpful for easy soldering. Follow the instruction for assembly parts then a step 20. 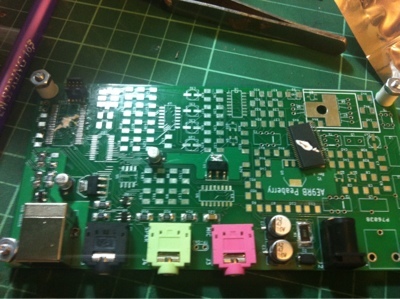 I can connect to computer by USB and supply a power. 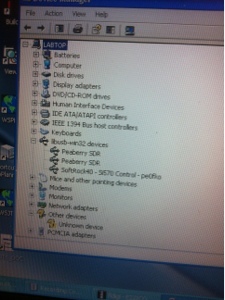 The computer should be detect Peaberry SDR. 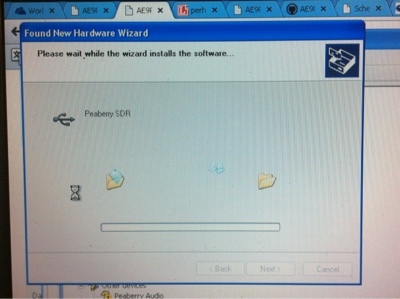 I install driver for download from AE9RB.com and receiver can operate. Setting on HDSDR. 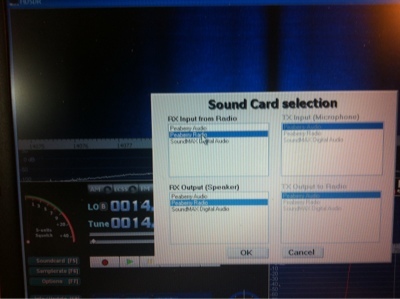 A peaberry SDR should be show in sound card selection. Step 24 ; Don't forget a mark on transformer T4, T5. May be made misstake assembly. Final parts Q6, Q7, Q8 after bend I tick a screw and nut before soldering. 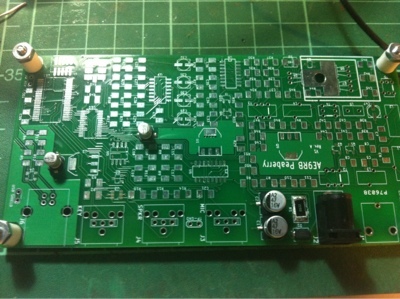 Just not finish, must be make external LPF. Weekend job and now a midnight in Thailand. Must be going to sleep.